Arizona State will debut the Dark Ops Collection next week. 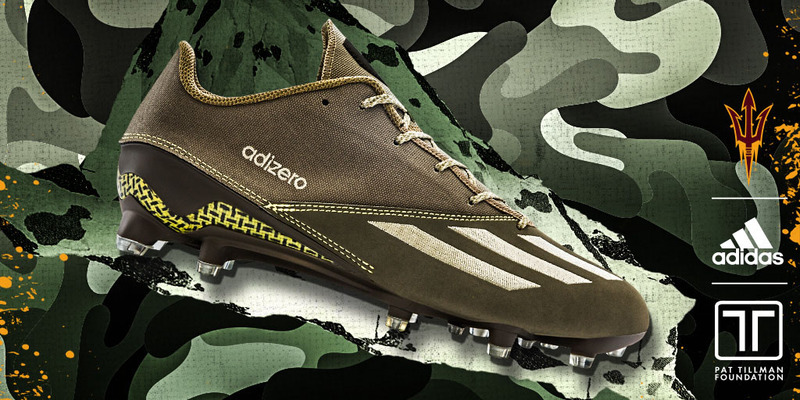 Kicking off its annual week-long “Salute to Service,” Arizona State’s football team will wear adidas Dark Ops Collection cleats against the Oregon Ducks on Thursday, Oct. 29. 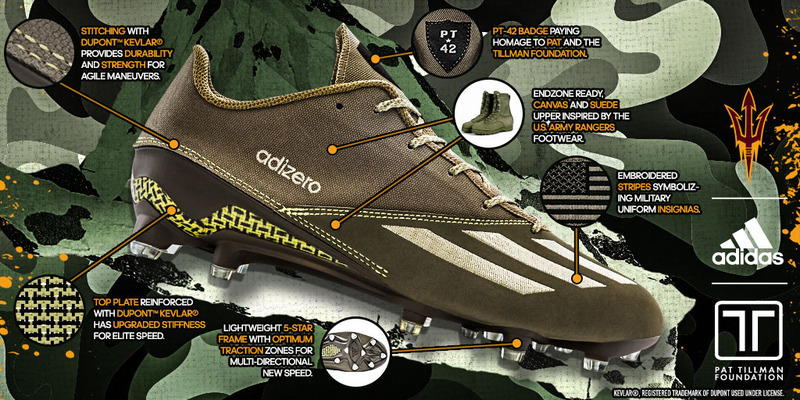 The initiative is inspired by the U.S. Army Rangers and Pat Tillman, an alumni who put his professional football career on hold to enlist in the U.S. Army with his brother in 2002. Two years later, Tillman lost his life while serving with the 75th Ranger Regiment in eastern Afghanistan. 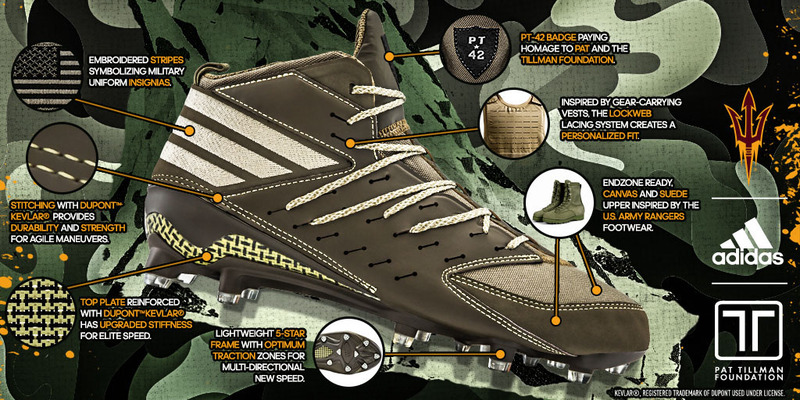 The cleats, the adidas 5-Star 5.0 x KEVLAR and Freak x KEVLAR, feature cues pulled from the footwear and accessories worn by the elite forces of the U.S. military. 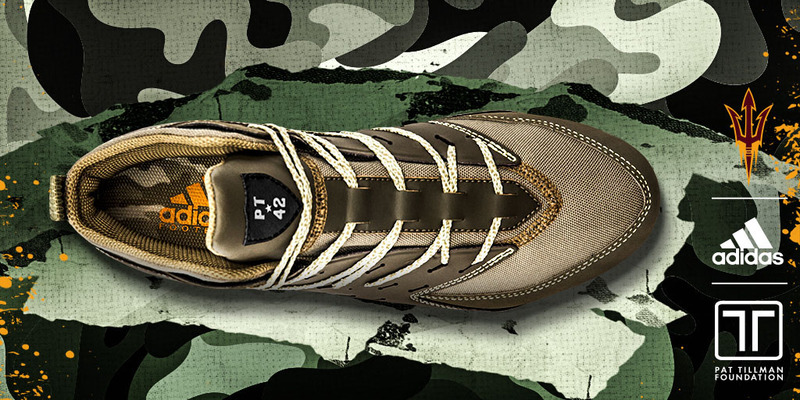 Green, tan and black, the colors of U.S. Army uniforms, are incorporated into the first pack. 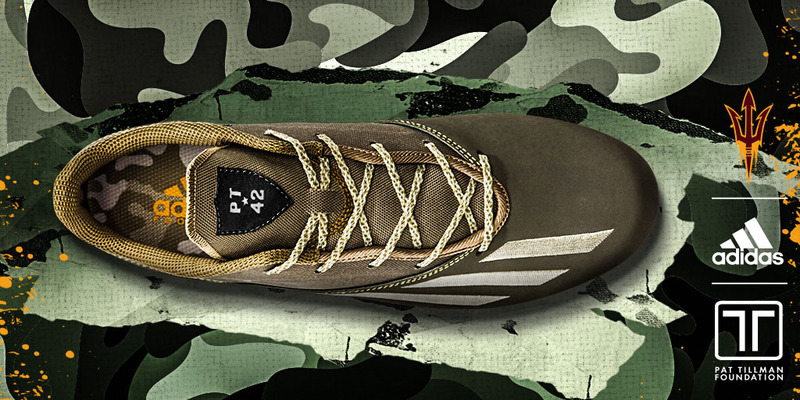 A PT-42 badge, honoring Tillman and the Pat Tillman foundation, is placed on top of the tongue, while camouflage sockliners and gold accents are additional salutes to the troops. 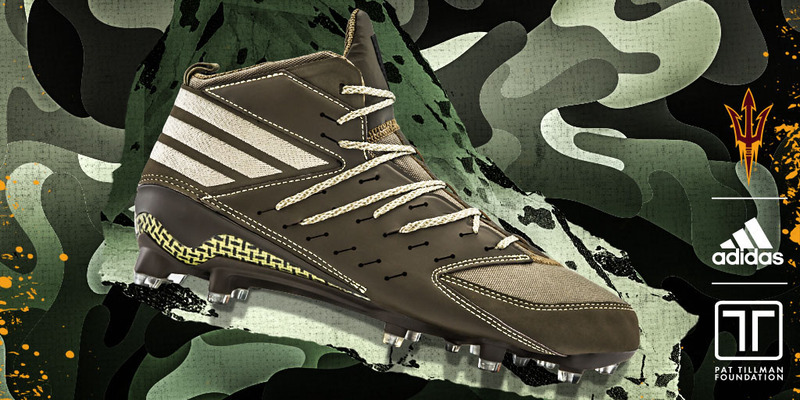 Set to release next Thursday, Oct. 29, the Dark Ops 5-Star 5.0 x KEVLAR ($120) and the Dark Ops Freak x KEVLAR ($149) will be available at adidas.com and Eastbay.